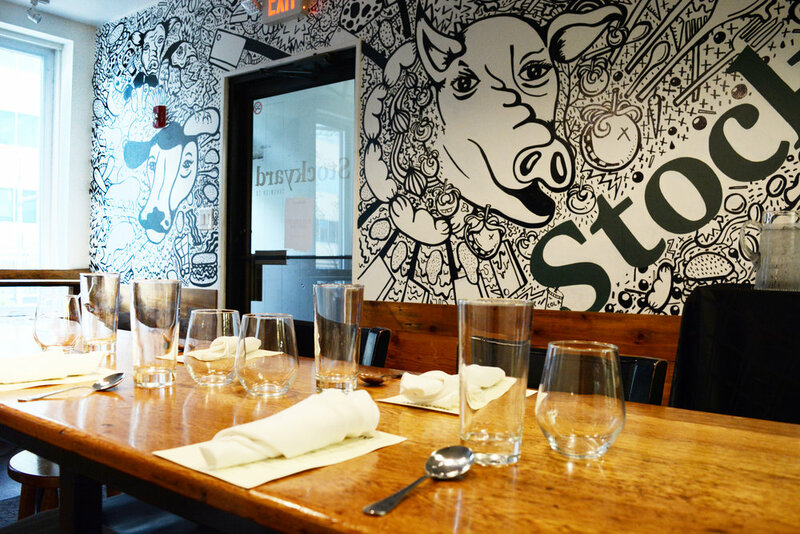 Private Events — Stockyard Sandwich Co.
let stockyard host your next event! A private party at Stockyard is the perfect way to celebrate birthdays, achievements, or just life! We can accommodate up to 12 people for a sit down dinner or up to 20 for happy hour in our intimate dining room. Work with our event coordinator and chefs to customize a menu to your preferences including; multi-course tastings, family style, or hors d'eourves. Our menus feature seasonal ingredients from local farms, with a focus on fine dining techniques.